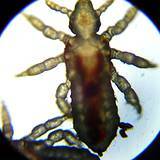 Finding the right head lice home remedy can be a frustrating chore. Children are most prone to head lice and the treatment for lice can be a painful process, not to mention all the dangerous chemicals that absorbs into the bloodstream. Head lice can be a frightening experience for anybody. Infestation can have an impact on the entire family even though children are usually the carriers. We all know schools are the biggest reason children are the first to come down with these bloodthirsty critters. There are many home remedies for head lice treatment. Some can be extremely dangerous. Don't ever use kerosene to fight the infestation of head lice. 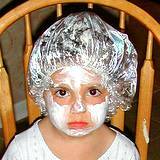 There are much simpler and safer ways to declare war on lice. The real secret to winning the war is, once you get rid of the lice from your hair you have to make sure you attack all the places the eggs may be hiding. Research has proven that lice can live in clothing, bedding and furniture for very long periods of time without eating. That's why finding and sticking with the right head lice home remedy is important. You can't waste time and money on head lice treatment that don't work, this is one home remedy that needs persistence and fast action. Here's a formula for not only the best head lice home remedy, it's also the best home remedy for preventing lice from returning. As you can see there is nothing here that's expensive. Once you buy your ingredients you'll see they will go a long way. Everything except the Tea Tree Oil can be bought at your local super market, drug store, or dollar store. You can locate Tea Tree Oil at your local health food store, or even online. As far as the Coconut Shampoo and Conditioner, don't worry about buying the expensive brands. You can buy store brands or Suave for about $1.00 for each bottle in many places. Mix the mayonnaise and vinegar in a mixing bowl then slowly stir in the Tea Tree Oil. Divide hair into small sections and use plastic hair clips to hold. Wrap a towel around shoulders, this can get messy. Starting at the back of the neck start parting the hair in fine clumps of hair and apply mixture to the hair with pain brush. Make sure you paint the mixture on the scalp too. Once you have the entire hair covered with the mixture put the shower cap over the head and squeeze the air out and use a clip to hold the cap in place. Leave the mixture and shower cap on for at least two hours. Rinse in warm water until the water runs clear. Put on generous amount of Coconut Conditioner on hair and rinse through with warm water. Once again divide hair into sections and comb through each section with lice comb. You'll see the dead lice along with the eggs on the comb. Rinse the comb in hot water between each section you comb. Once you have combed through all sections shampoo hair with Coconut Shampoo, then once again put Coconut Conditioner on hair and rinse. Fill your mist spray bottle ¾ full of warm water and 20 drips of Tea Tree Oil. Spray all pillows, blankets, sheets, rugs and furniture with a fine mist. You may have to do this several times a week at first then reduce to every couple of weeks. This home remedy for head lice will not only kill what is living in your home it will also prevent any more infestation in the future. CAUTION!!! NEVER USE TEA TREE OIL ON CATS, IT COULD KILL THEM! This formula can also be used for fleas and can be safely sprayed on dogs and their bedding. By adding a few drops of Tea Tree Oil to your dog's bath water will help keep your pet flea free between baths. You can also spray a hanky or piece of cloth and tie around the pet's neck for a safe, nontoxic flea collar.